I was completely swept off my feet when I read The Unbecoming of Mara Dyer. As soon as I finished it, I went straight to my bookshelf, grabbed this book and plopped down on my bed. I was a quite apprehensive at first because from my personal experience, second books in trilogies tend to be not as great as the first one. However, with this series this one was even better! I find it incredible how engaging this story is. Also, how easily you can fly through it. There are just so many things going on and so many questions running through your mind that you just cant put it down. One of the things that really stands out to me is how fast paced and action packed this book (the whole series actually) was. Also, how the author isn't afraid to get gory. I found that it gave the story a lot more authenticity and character. Plus the supernatural elements in this story are on point. The only thing that didnt really click with me were the "flash-backs". I don't think they were exactly that, but lets just go with the term for the sake of keeping this review non-spoiler. Anyway, I felt like those chapters were a bit unnecessary. I don't mean all of them because yes, they did add more backstory and contributed to the whole situation, but I just feel like they could have been reduced. Overall, this series proves itself to be pretty astonishing so far and I would definitely recommend it to everyone. Just as long as you have all three books when you start reading it. Otherwise you will just torture yourself with waiting! I read that in this series, it actually gets better after every installment, so I'm glad to know that the middle book didn't disappoint you at all! :) I also read that it gets really creepier in every book. Was that true? I can see you mentioned the gory stuff, and that's another plus, but a bit horror would be perfect for me to try this one out. I would say it's full blown creepy and mild horror. I really encourage you to try this series out, it's fantastic! 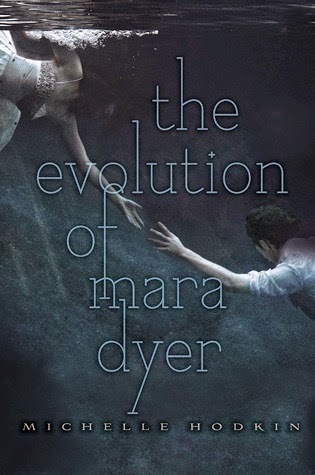 I read The Unbecoming of Mara Dyer and didn't love it too much, but I loved the creep factor of it, and it's awesome how you never really know what's going on for sure. I'm glad those factors were maintained in this book! Hooray for blood and gore! So glad you enjoyed this, and lovely review! Thanks Aimee! Bummer that you didn't enjoy the first book too much. This one is quite better, though. So if you ever feel like it, go and pick this one up! I'm sure you'll enjoy it a whole lot more. This is a really great series. I loved all of the books and I'm glad you liked this one. I'm sure you'll like the Retribution too! This series is so creepy and dark and twisted. I adore it! I would love to see it made into a movie sometime. Thanks! Bummer that you didn't enjoy the first post too much. This one is quite better, though. So if you ever feel like it. NEW = Forged Fantasy Hack GEMS - Generate Free 15000 Gems.